If you’re wondering what is happening when at the NRA National Rifle and Pistol championships, here is a calendar of all the scheduled events. The pistol matches concluded last week. Smallbore (rimfire) events are underway this week (in Bristol, Indiana), while the High Power events commenced yesterday (July 15) with clinics. The popular CMP Garand match is held July 19, while the NRA High Power National Championship commences on Saturday, July 26. Click the calendar image below to see a large size version (that’s easier to read). You can also download a PDF file with the complete National Matches Event schedule for 2014. Share the post "Get Calendar for 2014 NRA National Matches"
The Events Calendar employs different colors for different event types — Berger Yellow for Target Matches, Tan for Tactical Competitions, Light Orange for Varmint Competitions, Blaze Orange for Hunting Competitions, Blue for Tradeshows, and Forest Green for Fundraisers. If you click on an event in the calendar grid, a window pops up showing details for that event — match date, match location, match description, and contact(s) for match registration. Here is an example for the Berger Southwest Nationals. On the window that pops up when you click on a calendar item, you’ll notice one or two colored buttons (the colors correspond to event type). The View Map button links to a map of the match venue, so you can find the shooting range and plan your travel. If there is web page for the event, you’ll see a second colored button linking to that website. Simply click the Event Link for more information. Berger invites readers to submit events for the Berger Events Calendar. Visit the Calendar Submission Page to provide information on an upcoming event. Note: Berger may not list all submitted items, particularly where there are conflicts with previously listed major events. Share the post "Berger Bullets Introduces Online Shooting Events Calendar"
If you’re heading to Camp Perry this summer, the NRA has a new downloadable resource that should come in handy. The 2011 National Matches Information Guide (digital edition) includes all the essential information for the National Matches such as a map of Camp Perry, championship calendar, and schedules for important events. The guidebook also includes ads from local businesses in Port Clinton, Ohio with information on restaurants, lodging, and more. There are special promotions and discounts for Camp Perry competitors. The National Matches Ad & Information Guide also has a directory of our sponsors, many of whom are on vendor row. Check out the National Matches Ad & Information Guide online to see what’s happening at Camp Perry at the 2011 National Rifle and Pistol Matches. Share the post "Camp Perry National Match Guidebook"
If you help run a major match, trade show, or event, please send us information to be included in our 2010 Events Calendar. Please include event start and end dates, event weblink (if any), a short description of the event, and a photo or event logo. Email your submissions to: mailbox [at] 6mmbr.com. Thanks! Share the post "Please Submit Major Events for 2010 Events Calendar"
Among its many features, AccurateShooter.com offers a searchable Event Calendar. We try to include a wide variety of competitions, shooting events, and major gatherings (such as the NRA National Meeting next month in Phoenix, AZ). Where possible, our event listings include web links and match registration info. We solicit reader contributions to our event calendar. While we can’t list typical weekend club events, we’ll try to include major championships and special annual events, such as “Extravaganza of Silhouette” in California, and the Williamsport “World Open”. Please include the dates of the event, a one- or two-sentence summary, plus a link to a descriptive webpage. You can also attach an event logo, range map, and/or photo. Please limit submissions to important events of significant regional, state, or national interest. Please send your calendar listings to mailbox [at] 6mmBR.com. 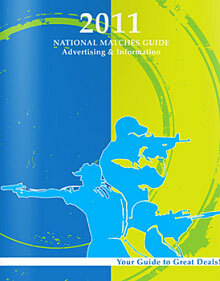 The NRA, through its Shooting Sports USA publication, offers a comprehensive calendar of shooting matches nationwide. This covers all the NRA disciplines: pistol, black powder, silhouette, air rifle, smallbore, F-Class, and High Power. The Shooting Sports Calendar is updated regularly, and can be downloaded for free in .pdf format. Click the link below to download the latest version of the NRA’s competition calendar. 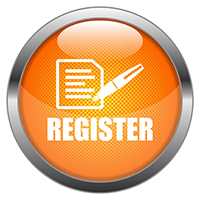 Share the post "Submit Event Info for 2009 Event Calendar"
The dates have been set for many of the more important 2009 shooting sports events and matches. Listed below are some key dates for major events this year. Mark your calendars. You can find schedules for other State Championships and other regional events on the NRA Tournament Calendar Page. Share the post "Dates for Major 2009 Shooting Sports Events"
Share the post "2009 Nat'l Championship Dates Set — Mark Your Calendars"